Concours of Elegance has revealed a few of the legendary cars set to shine in its 2015 event, ranging from a 1905 Star Gordon Bennett racer through to the 2015 Touring Superleggera Berlinetta Lusso. The Concours of Elegance began in 2012, showcasing the world’s finest cars at Windsor Castle to celebrate the Queen’s Diamond Jubilee. Since then it has moved to St James’s Palace and Hampton Court Palace, before this year heading to the Palace of Holyroodhouse in Edinburgh. And the calibre of cars is as impressive as ever for the Concours of Elegance 2015. The 1905 Star represents one of the earliest models on display, and was originally designed to represent Britain at the Gordon Bennett Cup – a race contested by nations at the beginning of the 20th Century. With its 10-litre engine and a top speed of more than 100mph, it’s an impressive feat of engineering. Set to be one of the most eye-catching cars on display is the 1939 Delahaye Type 165 Figoni et Falaschi, which was first displayed at the 1939 World’s Fair in New York. Only six of these 12-cylinder Type 165 models were built and this particular example, with its Figoni et Falaschi bodywork is arguably the most eye-catching. Its streamlined curves and elegant detailing ensure it looks modern, despite 76 years passing since it was first designed. 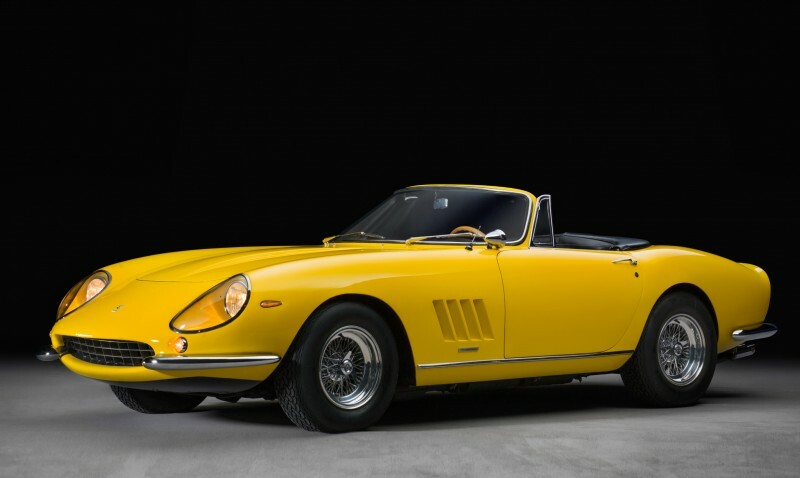 From 1967 is the Ferrari 275 GTB/4 NART Spider – one of only ten produced. Short for North American Racing Team, the NART was designed to kickstart 275 GTB/4 sales in America and has now become one of the most sought-after Ferraris of its era. The Concours then runs through rarities such as a 1979 BMW M1 and a 1995 Ferrari F40 LM before arriving at the newest car of the Concours, the Touring Superleggera Berlinetta Lusso. Based on a Ferrari F12, this hand-built coupé will be produced in a limited production run of just five units. And the main Concours event is just one part of the Concours of Elegance 2015, which will be complemented by special Scottish-themed features, including a tribute to Sir Jackie Stewart. Sir Jackie will be showcasing his three world championship-winning Formula One cars for the first time. There will also be the world’s largest ever collection of Ecurie Ecosse racing cars. Returning this year will also be the Club Trophy, celebrating the car clubs of the leading car manufacturers. Each club can submit their own Concours-winning car, which will then be judged by a panel of independent experts. The winning car will be in the main Concours for the 2016 event, just as last year’s winner – a Ferrari 275 GTB/4 – features in this year’s Concours.